LG Electronics has launched its new 84 inch Ultra HD Display (LG 84WS70). LG 84WS70 is an eco-friendly display and brings in a completely realistic image with a super high resolution of 3,840 x 2,160 pixels. LG 84WS70 has a built-in IPS panel which gives high image reproducibility and wide viewing angles. The display comes with a Smart Energy Saving function which helps to cut the power consumption by 43% than the regular mode. Built-In Hybrid Type Media Player is another feature of the LG 84WS70. 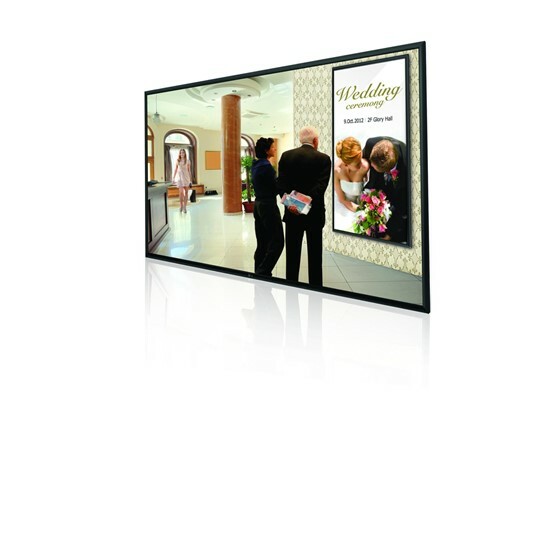 The LG 84WS70 display is equipped with various connectors like HDMI 1.4 and Display port 1.2 for native Quad full-HD content etc. The display includes the Local Dimming Technology which allows the brightness to be controlled in block units for better brightness and clarity.